You can get in touch by email, on our South East, Sussex, Kent and Surrey Facebook pages or on Twitter @bbcsoutheast, @bbcsurrey, @bbcsussex and @bbcradiokent. 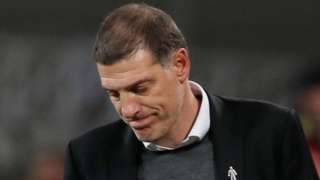 West Ham manager Slaven Bilic says he is "not worried" but is "realistic" about his future after his side lose 3-0 at home to Brighton. Our live coverage has ended for today, but we will be back on Monday at 06:00 BST with all your news, travel, sport and weather. Redhill's Anna Smith and her American partner Nicola Melichar have been beaten in the Kremlin Cup women's doubles final by Timea Babos and Andrea Hlavackova. The top seeds won the first set in 26 minutes but had to fend off a comeback from their opponents before prevailing 6-2 3-6 10-3. 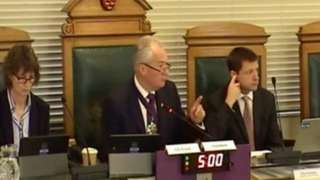 East Sussex County Council leader Keith Glazier says he is "worth the money and more". Hauliers are threatening to bring cross channel traffic to a complete standstill, unless the authorities in France address the issue of migrants trying to board their vehicles. Thieves have taken almost every single apple from a community orchard, fruit that was destined for local food banks. Strong gales are set to hit the South East with gusts of up to 60 mph potentially hitting the South coast. Boa constrictors, corn snakes and bearded dragons are increasingly popular as pets but the RSPCA warns many owners don't know how to look after them, putting huge pressure on their reptile rescue centre near Brighton. 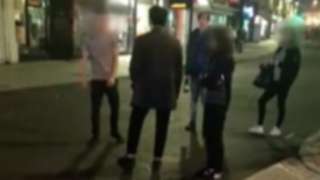 The student was left with facial injuries, his friend says. M25 Kent anti-clockwise severe accident, at J4 for A21. M25 Kent - Queuing traffic on M25 anticlockwise at J4, A21 (Orpington), because of an accident, which is now on the hard shoulder. If your swimming stroke is more doggy paddle than breast stroke you'd have been right at home at Saltdean Lido. The art deco pool just outside Brighton celebrated the close of season by opening up to dogs and their owners. More than 27,000 incidents of fly-tipping have been recorded in the South East in the past year. Video caption: 27,000 incidents of fly-tipping recorded in the South East in the past year.27,000 incidents of fly-tipping recorded in the South East in the past year. A road has been closed in Chatham following a collision involving a child and a car. Kent police were called at 12:33 BST earlier after receiving a report about a crash in Best Street. Officers are currently at the scene along with South East Coast Ambulance Service and the child has been taken to a local hospital with serious injuries. It's not believed the injuries are life threatening. A260 Kent both ways severe accident, at Recce Lane. A260 Kent - A260 Canterbury Road in Swingfield Minnis blocked and slow traffic in both directions at the Recce Lane junction, because of an accident involving two vehicles. A new Royal Navy Offshore Patrol Vessels (OPV) has been named HMS Medway after the river in Kent. The second of the Royal Navy's OPVs, HMS Medway is the tenth vessel to bear the name since the 1690s. She was named in a ceremony in Glasgow by her Sponsor, Lady Wendy Fallon, whose husband is Defence Secretary, Sir Michael Fallon and whose Sevenoaks constituency borders the river Medway. The 90m (295ft) ship is expected to enter service with the Royal Navy in 2019. Displacing around 2,000 tonnes, she has a crew of 58 as well as a flight deck. M25 Surrey anti-clockwise severe disruption, between J6 for A22 and J5 for M26. M25 Surrey - One lane closed and slow traffic on M25 anticlockwise between J6, A22 (Godstone) and J5 M26, because of a broken down lorry. 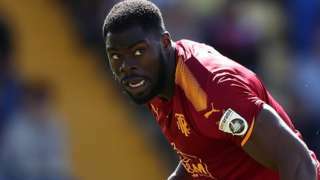 Dover Athletic sign striker James Alabi on loan from fellow National League side Tranmere Rovers until January. Have you seen missing Danielle? Police are concerned for the welfare of teenager Danielle Kendrick who was reported missing on Tuesday. Danielle, who is 15, is from Shoreham-by-Sea and was last seen at her home address in the town at about 15:30 BST. She is described as black, 5' 8”, of slim build with shoulder length, afro-style hair. She has brown eyes.It is believed she is in the Brighton area, but may have travelled to Crawley or Worthing. Surrey have signed Australia all-rounder Mitchell Marsh as their overseas player for 2018. The 26-year-old will be available to play in all forms of the game, international commitments permitting. M25 Kent clockwise severe disruption, at J1A for A282 affecting J29 for A127. M25 Kent - Severe delays and queuing traffic on M25 clockwise at J1a, A282 (Swanscombe), because of earlier shed load of metal poles in the road. All lanes have been re-opened. Travel time is 90 to 100 minutes. Congestion to J29, A127 (Romford).